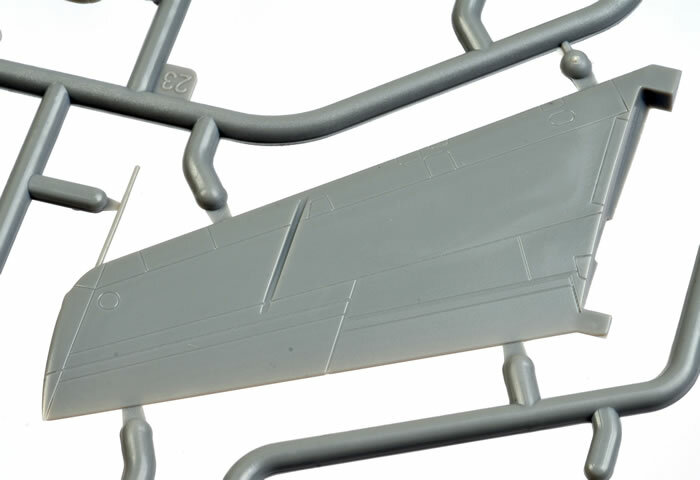 Contents and Media: 84 parts in grey plastic and two parts in clear; markings for three aircraft. 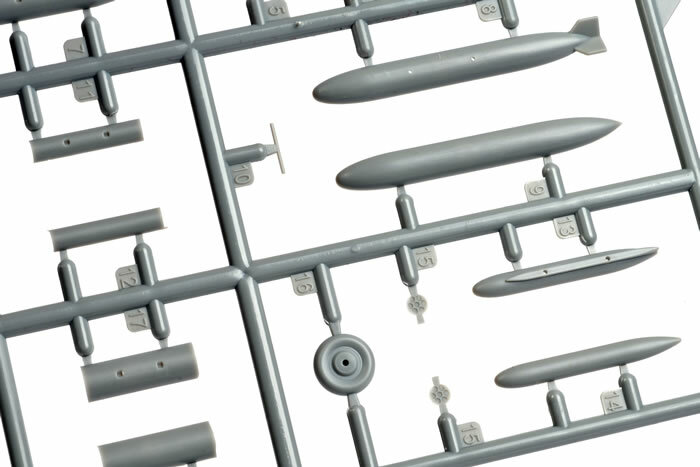 Advantages: Excellent mouldings; either R1 or R3 variants may be built from the box; high level of detail; fine recessed panel detail; useful options incuding drop tanks, bombs and rocket launchers; high quality decals with three varied schemes. Conclusion: Meng's 1/72 scale Fiat G.91R should be fast and easy to build with a good level of detail, fine surface features and lots of useful options. Highly Recommended. The Fiat G.91 was an Italian jet fighter aircraft. It was the winner of the NATO competition in 1953 as standard equipment for Allied air forces. It entered in operational service with the Italian Air Force in 1961, with West Germany's Luftwaffe, in 1962. and later with the Portuguese Air Force. It was in production for 19 years. 756 aircraft were completed, including the prototypes and pre-production models. The assembly lines were finally closed in 1977. 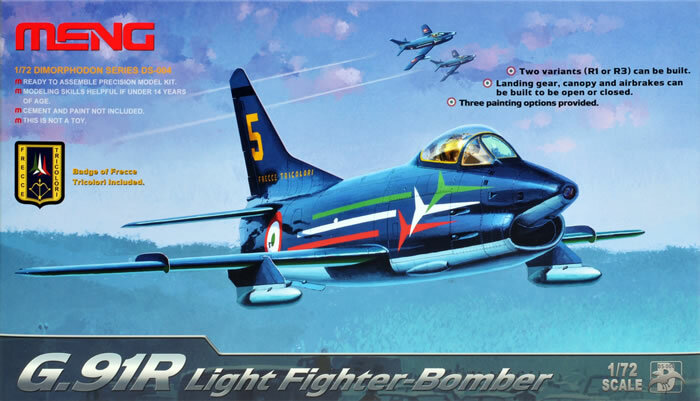 Barely six weeks since their F-102 hit the market, Meng has now released another all-new 1/72 scale kit, the Fiat G.91R. 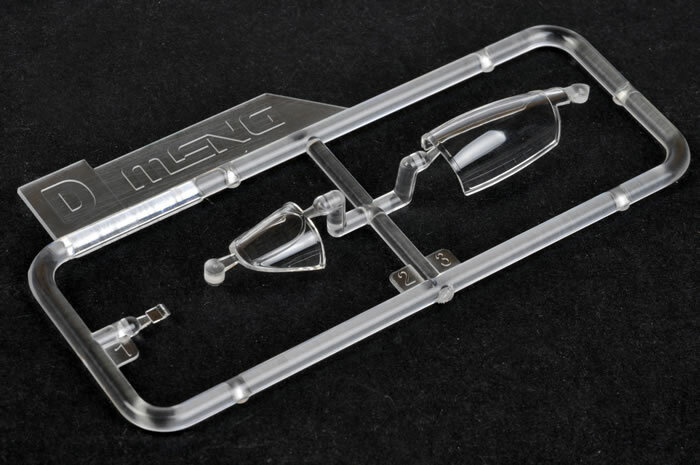 Meng's 1/72 scale Gina comprises 84 parts in grey plastic and five parts in clear. Markings for three aircraft are included. 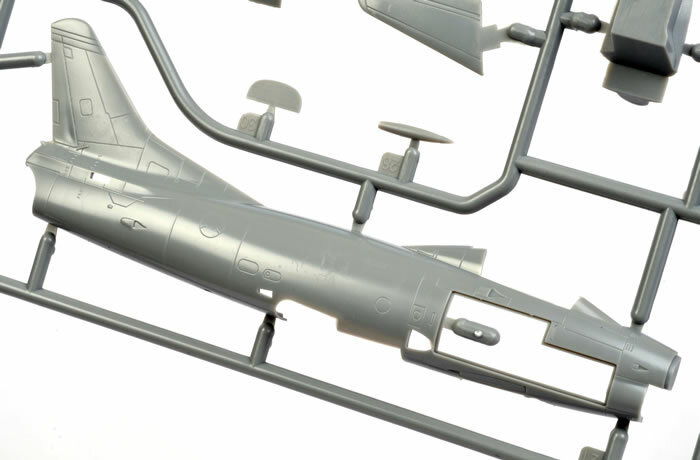 The model may be built as either a Fiat G.91R/1 or R/3 thanks to separate gun panel inserts in the fuselage sides. 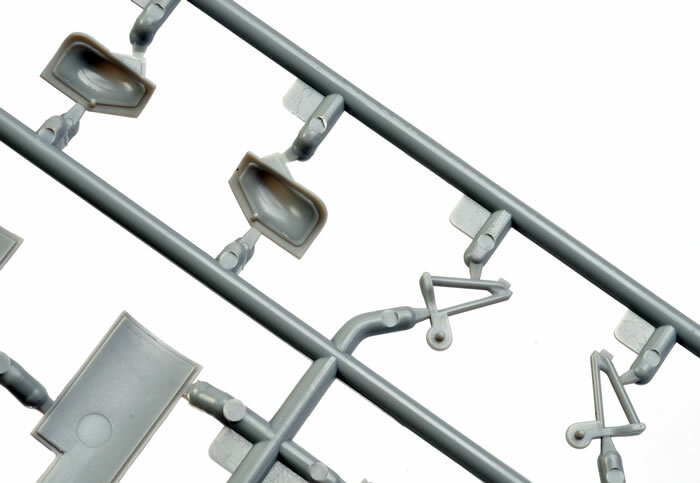 Plastic parts are very well moulded with no imperfections in places that will be visible on the finished model. Even tricky areas such as the undercarriage doors and the backs of the one-piece wheels are free from ejector pin and sink marks. There is a raised circle on the pilot's seat but this appears to be a structural feature with additional detail. Panel lines are quite crisp and fine, especially the fuselage. The photos tend to overemphasise them due to the saturation of light, but they look very good on the surface of the plastic. 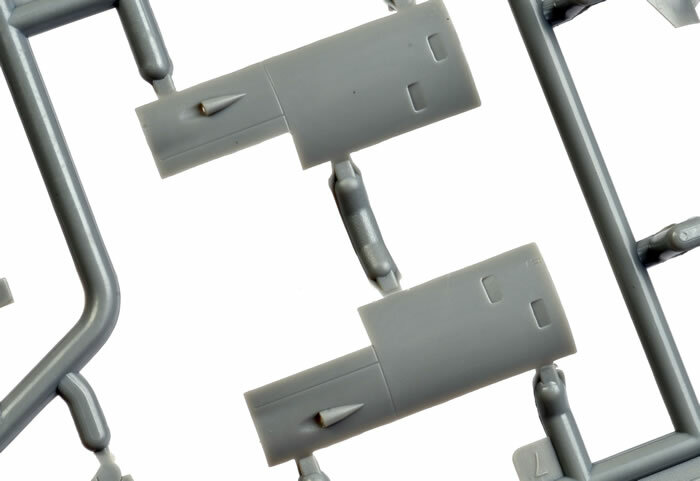 For comparison, think of the type of surface detail on current Hasegawa kits. Details are also well done. The wheel wells and speed brake bays are nicely fitted out with raised structural detail. The speed brakes may be posed either open or closed. 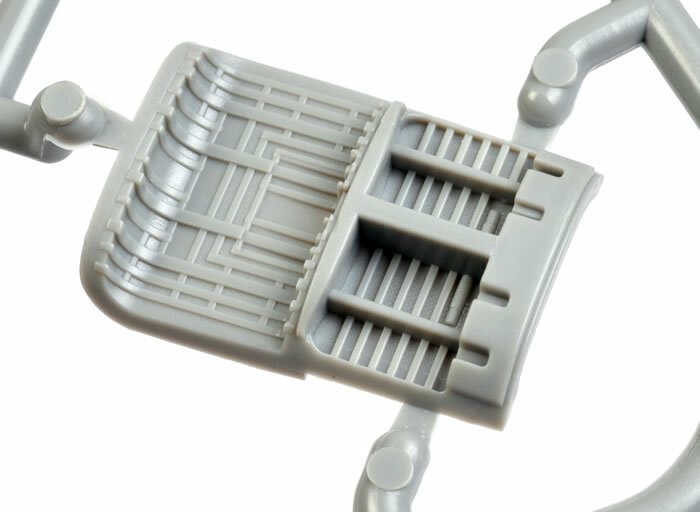 If they are glued open, a one-piece actuator will hold the each speed brake door at the correct angle. The cockpit is simple, with nice raised detail moulded onto the instrument panel. The tub includes integrated side consoles with raised switch detail. The pilot's seat is supplied in one piece with no harness straps or pull handle. If you would like a cockpit with more detail, Pavla offers a lovely resin replacement (Item No. C72060 - a separate seat is available too as Item No. C72044) designed for the Revell kit, but it should fit this model with a little extra work. Control surfaces and leading edge slats are moulded in neutral/retracted positions, and the pitot tube is moulded in place on the wingtip. 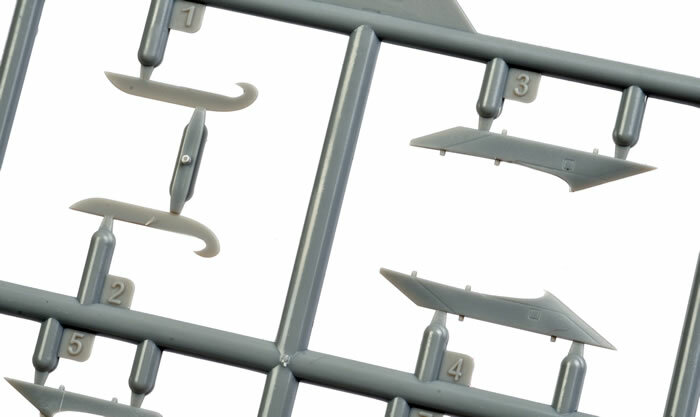 In fact, there is one on each wing, so the port-side tube should be cut off as indicated in the instructions. 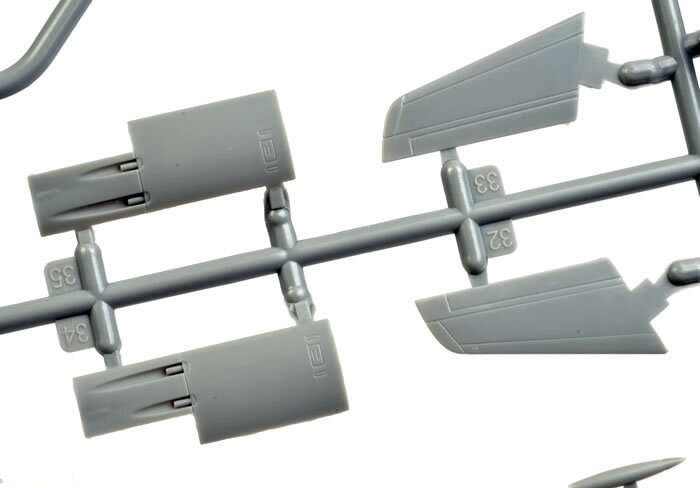 The wings are supplied in one piece for each side, with the wing fences being very thin separate parts. 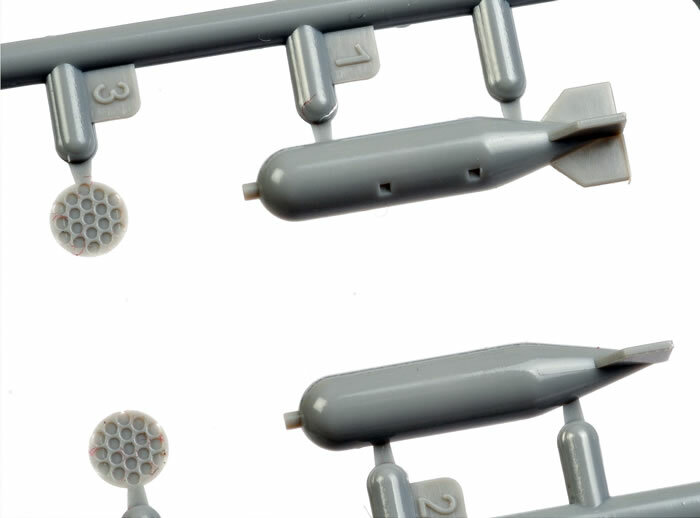 A nice selection of weapons is included - 2 x M64 bombs, 2 x LAU-51 Rocket Launchers, 2 x LAU-32 Rocket Launchers, 2 x LAU-3 Rocket Launchers and two drop tanks. All the ordnance is crisply detailed. 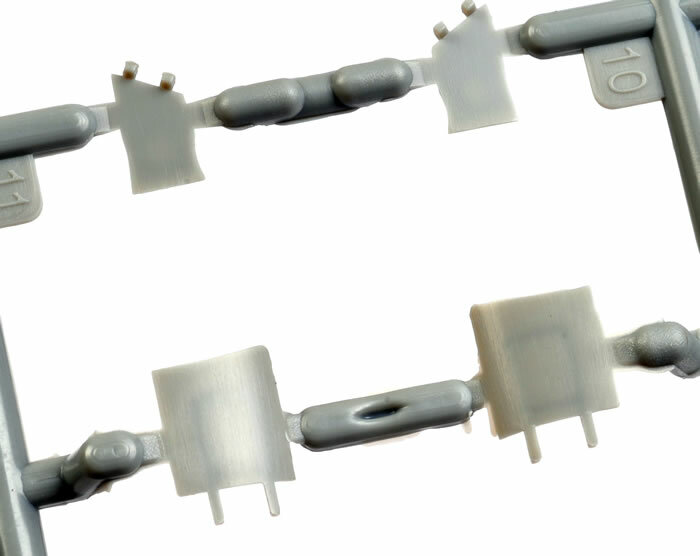 The clear parts, protected by two layers of packaging, are very thin and free from distortion. The canopy may be posed open. 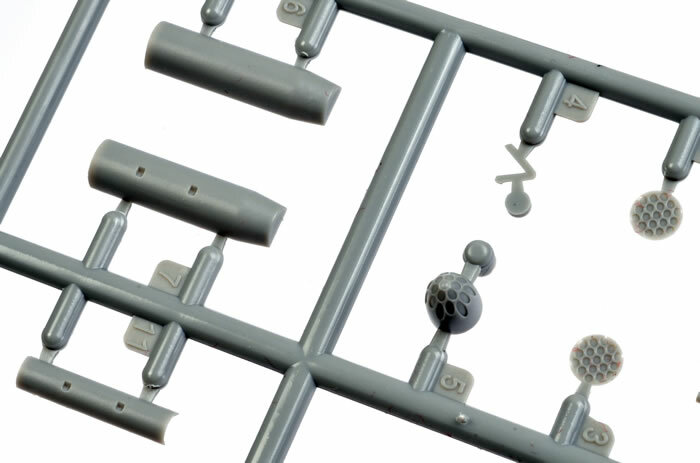 Engineering and parts breakdown is conventional, with fairly narrow sprue attachments and plenty of locating pins. 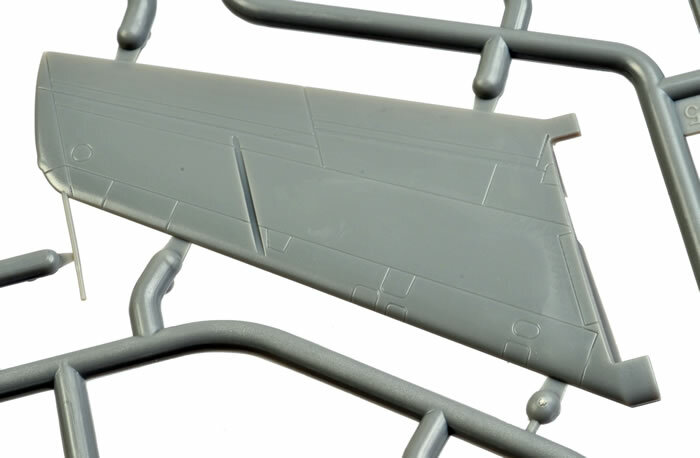 On the major parts such as fuselage halves, the sprues attache via the mating surface, not the exterior surface of the part. This reduces the risk of scarring the external surface of the plastic during parts removal and cleanup. There is no mention of nose weight, but I expect that some will be required to keep that front wheel on the ground. Fiat G.91R/1s - No.5 Frecce Tricolori. Italy. Finished in Dark Blue and Grey with Red, White and Green lower surfaces of the wings and horizontal stabs. Fiat G.91R/3 - LeKG 41, 31+43 (West Germany) finished in Dark Green ad Dark Sea Grey upper surfaces and Grey lower surfaces and a colourful shark's mouth. Fiat G.91R/1 - US Army early 1961 finished in Dark Green ad Dak Sea Grey upper surfaces and Grey lower surfaces with Dayglo wing outers and tail. Printing and colours look good and in register. 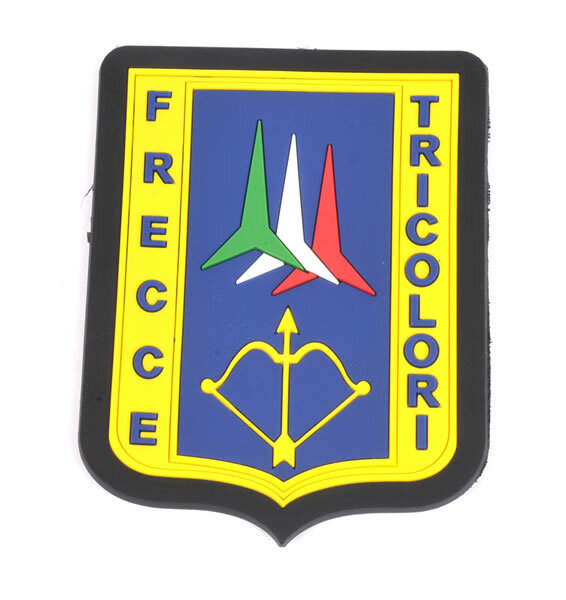 A full-sized rubberised "Frecce Tricolor" patch with Velcro backing is also included, ready to slap onto the shoulder of your favourite G-suit. 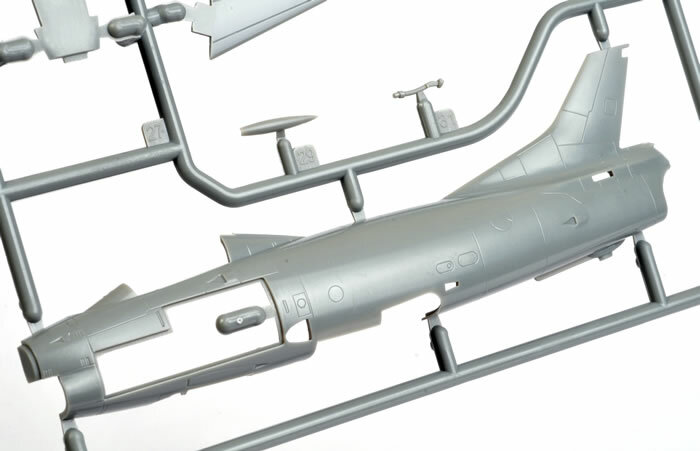 Meng continues their Cold War aircraft series with this brand new 1/72 scale Fiat G.91. 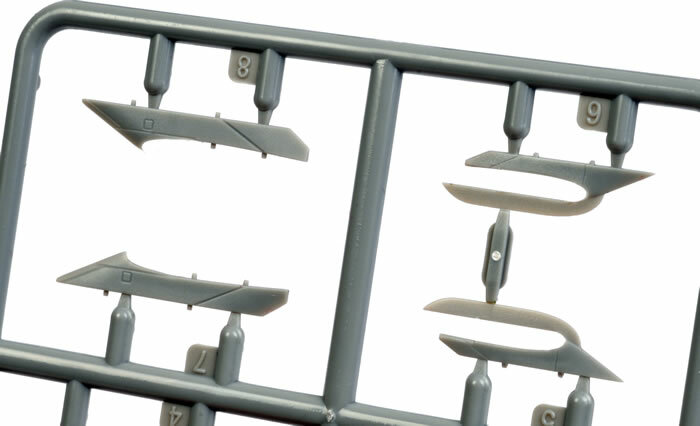 This is not the first Fiat G.91 kit available in 1/72 scale. Revell released a much-anticipated kit in 1999 (later re-boxed by Italeri), but it was a disappointment in terms of detail, accuracy and fit. However, in common with Meng's immediate predecessor, the F-102, this Fiat G.91 should be fast and easy to build with a good level of detail, fine surface features and lots of useful options. 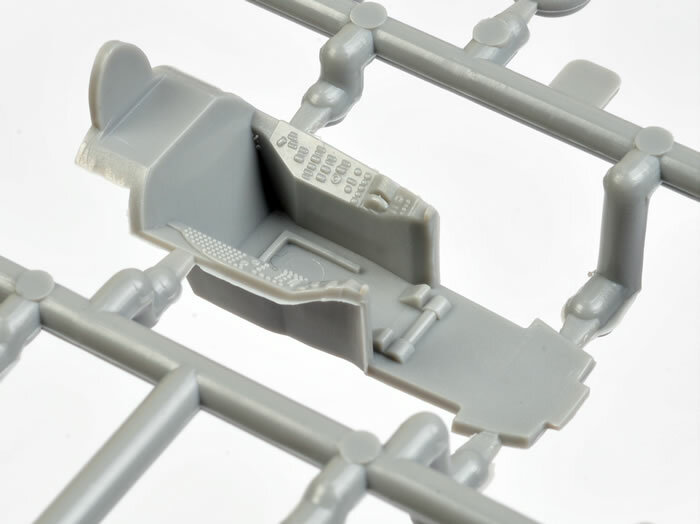 If modellers wish to add more detail in the cockpit, a number of accessories already exist including Pavla's replacement front office and bang seat. 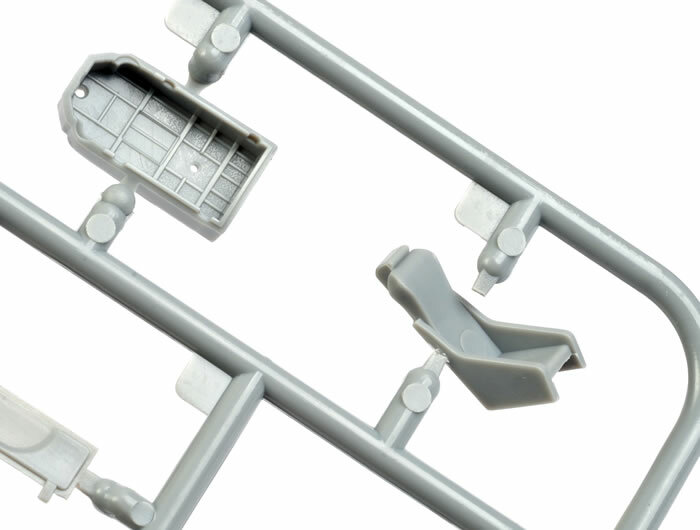 I like Meng's inclusive approach of delivering buildable kits with the potential for further detailing, and I look forward to seeing what they have in store for us next.